Last week on Psych Central, a detailed article was shared by Dr. Fjola Helgadottir, on the growth of technology and computers as medium for therapy as the digital age continues to grow. Dr. Helgadottir is a Senior Research Clinician at the University of Oxford and co-founder of AI-Therapy, which states they are an online treatment program that uses evidence-based techniques and award winning research to help you overcome social anxiety. In computerized therapy the computer is playing more than a passive role in delivering the clinical content. In other words, the computer is more than just a means of delivery, and may or may not be connected to the Internet. Rather than meeting with a therapist face to face on a video conference, computerized programs and algorithms are created to provide support for individuals in real time – but they aren’t actually coming from a human being. While this might sound space age and a true deviation from Freud’s theories about the importance of transference in human interaction in psychotherapy – there is potential value with modalities of support – such as Cognitive Behavioral Therapy (CBT). For those who have doubts or questions about the efficacy or usefulness of this therapy, Dr. Helgadottir also outlines 5 myths regarding computerized therapy that are helpful to keep in mind. Chat 2 Recovery can identify and agree with many of those thoughts and believes above. Our goal of providing online addiction treatment and support is not to replace human interaction or engagement with a therapist in person, but to find new and effective means of supporting individuals in need. In Dr Helgadottir’s third article of her series on Psych Central, she discusses what the future of computerized therapy and other means of digital emotional support will look like. In it she states that personalization will be an important factor in the engagement of clients through an online medium – and we couldn’t agree more. The foundation of recovery from addiction is about connection with others through a shared experience, strength and hope. Chat 2 Recovery will be continuing to expand our services in 2013 to spread the message of addiction recovery in 2014 – particularly through online and digital means. We believe that support through online mediums from peers and from professionals will only help to expand and grow the addiction recovery community and increase positive outcomes for success from alcohol and drug addiction. Recovery.org recently posted an article that included 10 photos of individuals before and after recovery to share the positive effects of recovery from substances and wow – the results are signfiicant! What a great way to share what life without substances can be like for individuals! Thanks to Recovery.org for this great infograph. Recovery.org is a website that assists individuals in finding the right addiction treatment program for them. The article below is taken directly from their website. Also, feel free to reach out to us at Chat 2 Recovery for more information about our unique Online Addiction Program. We can be reached at 855-436-6781 and feel free to read more information on our Psychology Today profile as well. Addiction is devastating. It takes away health, personal potential, rips apart families, and all too often claims lives. What follows are the images and stories of 10 remarkable individuals who have struggled with deeply entrenched addiction, and yet still made their way to sobriety. They are heroes who were able to get the help they needed to see the way out of the fog of active addiction, where they have been able to reclaim their lives and relationships. Please consider sharing these inspiring transformations and help other addicts and their families see that RECOVERY IS POSSIBLE and that REHAB WORKS. What follows are the stunning transformations of ten remarkable individuals who have successfully fought their addictions and come out the other side. In celebration and support of September being National Recovery Month, the Substance Abuse and Mental Health Services Administration has updated their official resource that answers questions they should ask potential treatment centers. The revised consumer guide, Seeking Drug Abuse Treatment: Know What to Ask, is evidence-based and is being released in recognition of this year’s National Recovery Month. Chat 2 Recovery, a unique online addiction treatment program, is happy to answer any questions you have about the program. Call us today at 855-436-6781 for more information. 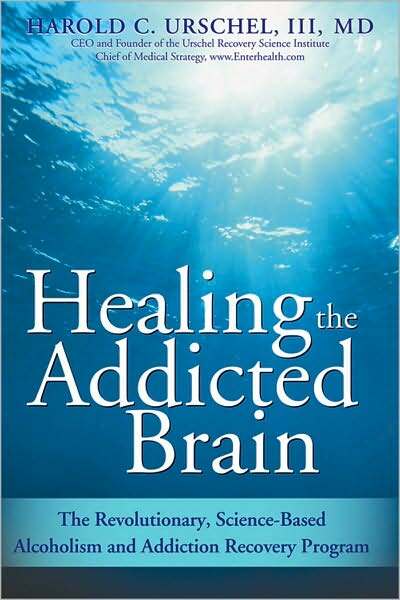 Healing The Addicted Brain, by Dr. Harold C. Urschel. In a previous blog, I said that I would periodically highlight the main points of books or articles on recovery, spirituality, or self-growth that I have read and strongly endorse. Today, I will be discussing the book, Healing the Addicted Brain, by Dr. Harold C. Urschel. This book is an excellent reference for individuals seeking to recover from drug addiction. It is easy to read, and provides excellent checklists and written exercises for people to work on. It has also provides many references to useful websites. The book may be too basic for experienced addiction clinicians, but it is organized in a way that could provide a simple structure for clinicians to use with their patients. 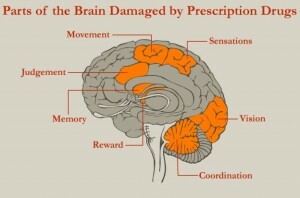 Dr. Urschel states that although abuse of substances leads to physical damage to the brain, he suggests that repairing begins to occur between 6 months to a year of sobriety. The book strongly emphasizes that substance use disorders are diseases of the brain needing medications to correct them. It clearly explains how abuse of substances leads to physical damage to the brain, with clear graphics of damaged brains due to substance abuse. He suggests that it takes 6 to 10 months of sobriety before significant brain repair can occur. He places a strong endorsement on using the new “anti-addiction” medicines to correct the problems of the brain. He also suggests that these medications enhance a person’s ability to focus on and benefit from talk therapy and 12-step programs. He provides worksheets to assess one’s pro-addiction thoughts and develop healthier pro-recovery thoughts. He discusses the need to identify and deactivate triggers for drug use, and to have a plan in place to handle drug cravings. He provides a simple quiz to see how much one knows about cravings. He easily explains how triggers are “hardwired” into the brain, activating memory and dopamine circuits leading to drug cravings. 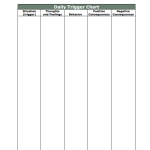 An example of one of these worksheets is to the left, entitled the Daily Trigger Chart, courtesy of Enter Health. Dr. Urschel spends considerable time discussing the new addiction medicines, including Vivitrol and Campral for cutting back on alcohol intake. He goes into considerable detail on how these medications work to improve recovery success. He also discusses the medications most beneficial for those abusing alcohol, opioids, stimulants, sedatives, and marijuana. He does an inspiring job of promoting the effectiveness of these medications. Another chapter explains the basic concepts of 12-step programs, the importance of sponsorship, 12-step “tips,” the types of AA meetings, and how to find meetings. 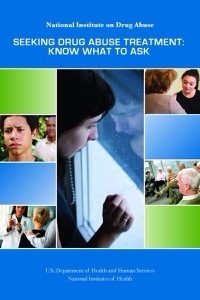 Additional chapters include: dealing with difficult emotions, such as depression, anxiety, and anger; dealing with mental illness in addition to substance abuse; suggestions for the recovering family; ways of preparing for and dealing with lapses and relapses; the importance of health and nutrition in recovery; and the value of regaining enjoyment and pleasure while in recovery. I fully endorse this book for individuals in early recovery and for those clinicians just entering the field of treating substance use disorders. 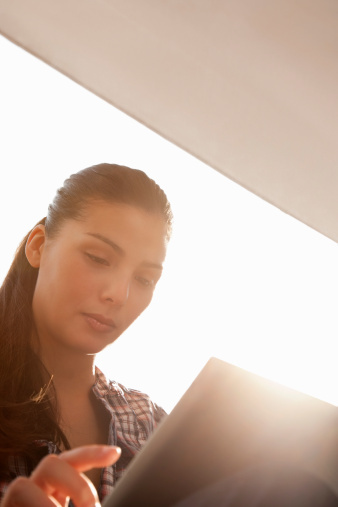 Does Online Counseling for Substance Use Disorders Really Work? Over the past 15 years, there has been a growing array of research studies showing significant improvement in those individuals treated using online therapy for such problems as depression, anxiety, gambling, eating disorders, and sleep disorders. 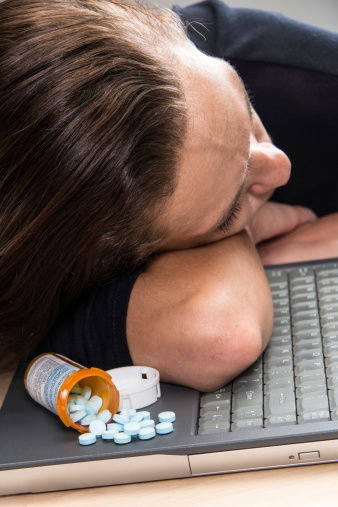 But what about specifically treating substance use disorders online? In 2000, John Cunningham, Keith Humphreys, and Anja Kski-Jannes, from Toronto, published an article about providing personalized assessment feedback for problem drinkers using the Internet. What they were actually investigating was whether there was interest in a free evaluation and screening tool. What they found was that their site received approximately 500 hits per month, clearly suggesting that there was interest and viability for such a site. Similarly in 2001, Richard Cloud and Patricia Peacock developed their own website that provided a confidential screening tool that allowed visitors to review their alcohol use. In less than 6 months, over 10,000 individuals visited the site and almost 3,000 took the screening. Since that time, a number of other studies have been conducted that showed the positive benefits of online support for individuals. A recent article posted on The Slate entitled “Therapy By Internet May Be More Effective Than You Think” continues to explore this discussion and expand the field of medical and mental health into the technology age. An ever growing area of the medical word is the use of technology and video conferencing, which continues to grow particularly in use with physicians – the technical term called “Telemedicine”. The formal definition for Telemedicine (from Wikipedia) is as follow: Telemedicine is the use of telecommunication and information technologies in order to provide clinical health care at a distance. It helps eliminate distance barriers and can improve access to medical services that would often not be consistently available in distant rural communities. It is also used to save lives in critical care and emergency situations. Our team at Chat 2 Recovery is interested in helping to grow the field of addiction treatment through telemedicine for those in need. With our team of trained professionals and ease of availability with technology, our goal is to reach as many individuals in need of support around the struggles of addiction and substance abuse. We utilize a combination of videoconferencing, text messaging, emails, and chat to support our clients as well as create a safe environment online for individuals to support each other. 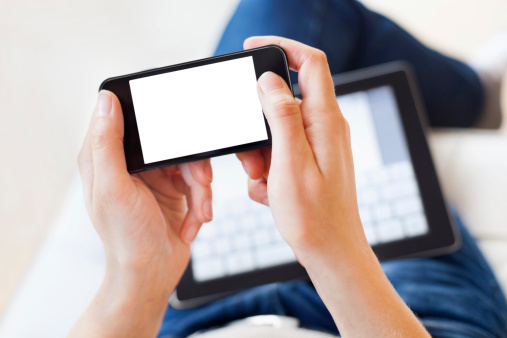 While research is limited in regards to Telemedicine and the effectiveness of online therapy, we at Chat 2 Recovery believe in the benefits of being connected with others through any medium – even technology. From the studies that have been completed, there appears to be ample evidence that it is effective and can be a benefit. We hope to grow the statistics and evidence to support this! We encourage you to reach out and provide us with feedback and ideas of what you would like to see from Chat 2 Recovery. What has been your experience with or thoughts on the movement of online therapy as a viable form of treatment support? We look forward to your thoughts and comments! Copeland, J., and Martin, G. “Web-based interventions for substance use disorders: A qualitative review”, J Subst Abuse Treat. 26 (2): 109-116, 2004. Cunningham, J.A., Humphreys, K., and Koski-Jannes, A. “Providing personalized assessment feedback for problem drinking on the internet: A pilot project”, J. Stud. Alcohol. 61: 794-798, 2000. Cloud, R.N., and Peacock, P. L. “Internet screening and interventions for problem drinking: Results from the www.carebetter.com pilot study”, Alcohol Treat Quarterly. 19 (2): 23-44, 2001. Frueh, B. C., Henderson, S., and Myrick, H. “Telehealth service delivery for persons with alcoholism”, J. Telemed & Telecare. 11: 372-375, 2005. Griffiths, M. “Internet help and therapy for addictive behavior”, J. CyberTherapy & Rehab. 2 (1). 43-52. 2009. King, V. L., Stoller, K.B., Kidorf, M., et al. “Assessing the effectiveness of an internet-based video conferencing platform for delivering intensified substance abuse counseling”, J. Sub. Abuse Treat. 36. 331-338. 2009. Reis, J. and Riley, W. “Assessment of a computer-supported alcohol education intervention program”, Health Ed. 102 (3). 124-132. 2002.